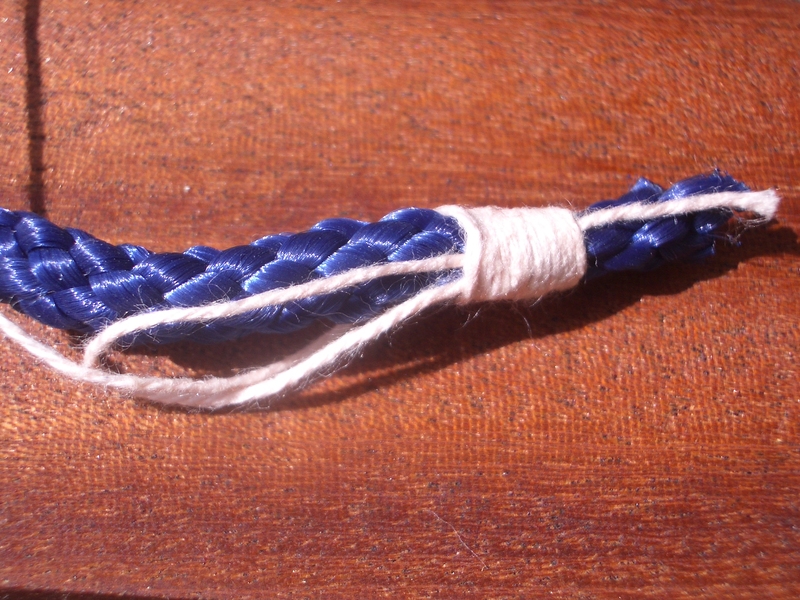 Whipping is a traditional way of neatening and securing the cut end of a piece of rope, to stop it unravelling and splaying out. The simplest type of whipped end is done as follows. 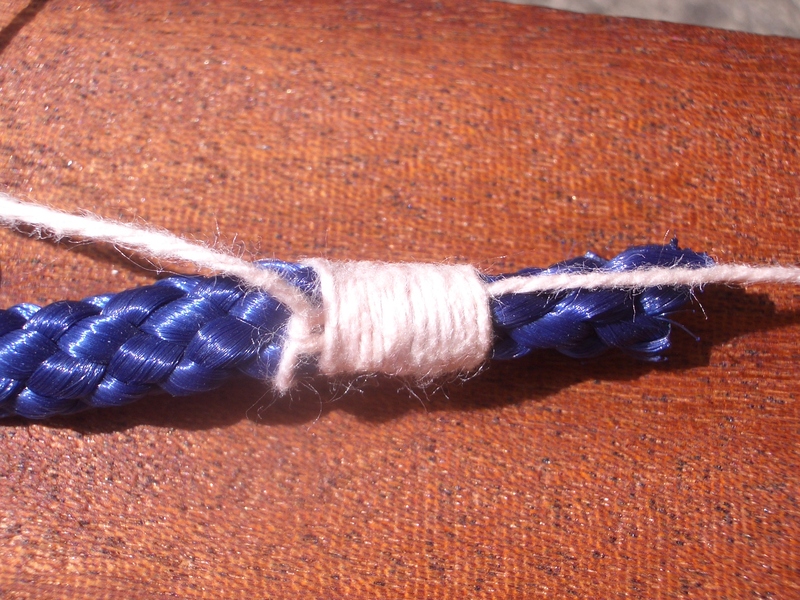 I’ll call the thicker cordage that is to be neatened “rope” and the thin cordage that will do the whipping “cord”, but there’s no reason why you can’t whip at a smaller scale as in the photos, or even use sewing thread to whip the end of a length of fine cord. 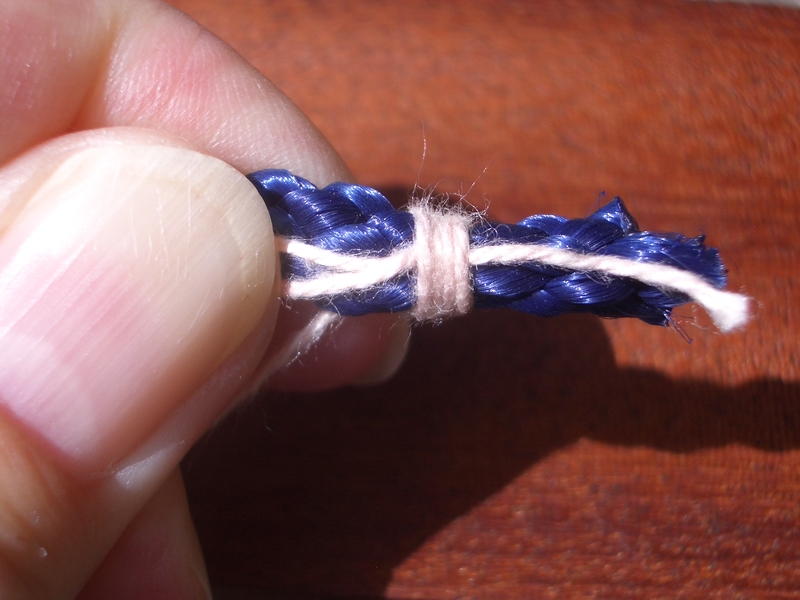 Fold the free end of the cord back on itself to form a simple loop that is maybe 8-10 times as long as the diameter of the rope. Lay it along the rope with the loop pointing away from the cut end. 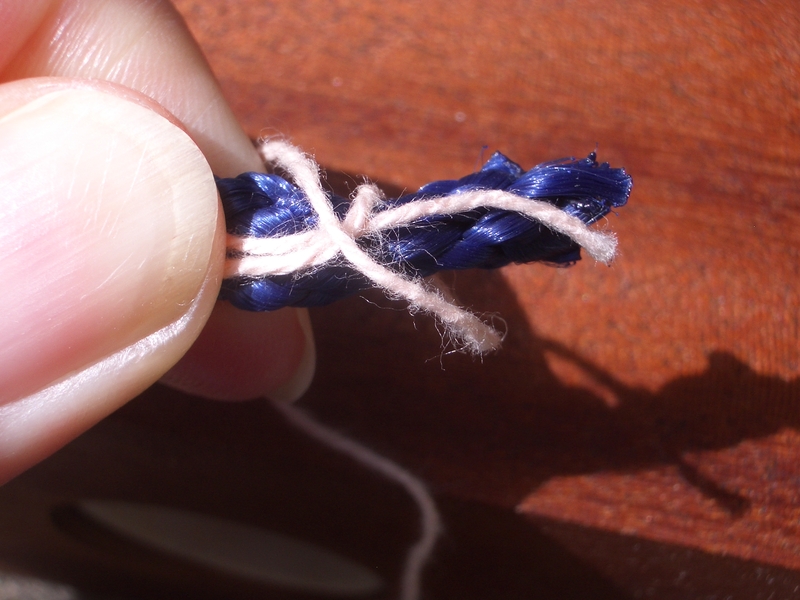 … and begin to wrap it around the rope, moving away from the cut end. 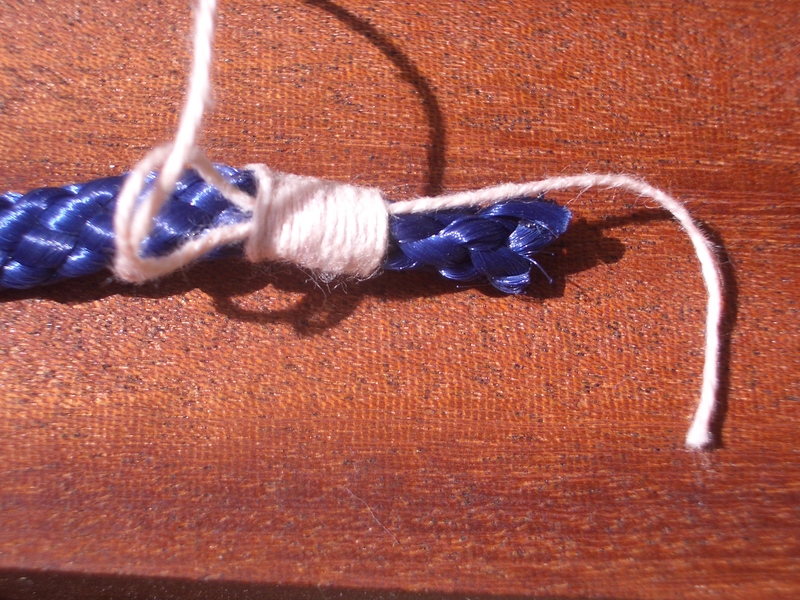 The wraps will hold the loop in place against the rope. Continue wrapping, pulling the cord fairly tight and having each coil touching the preceding coil with no gaps between them. Keep going until the wrapped length of rope is however long you think looks right. Somewhere between 1 and 2 rope diameters should be OK. Stop while there is still some loop that is uncovered. Cut the cord from the reel, leaving enough of a tail to get a good hold of. Poke the tail through the loop. Pull on the end of the cord that is at the cut end of the rope, to draw up the loop. Before the loop disappears completely under the whipping, apply some tension to the other end of the cord at the same time. 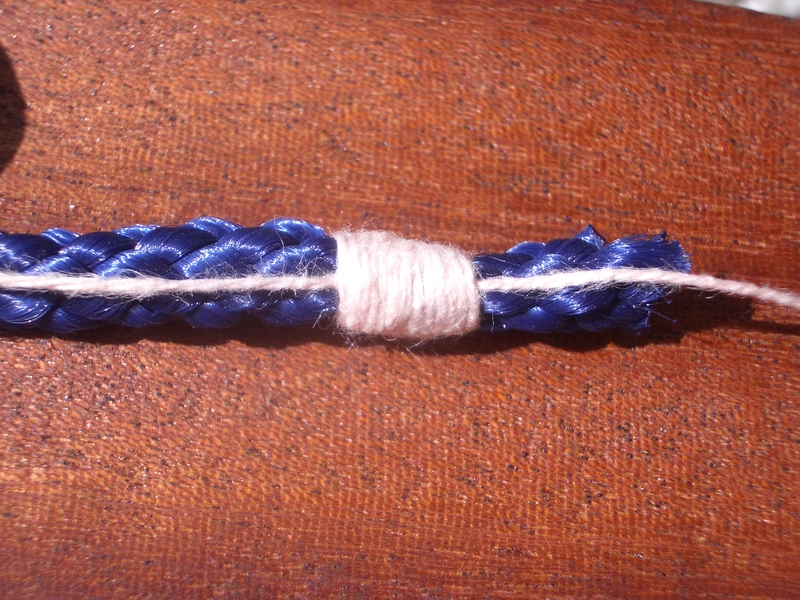 The two ends are now looped through each other and the aim is to control this point of interlinking to get it to end up approximately in the middle of the length of whipping. 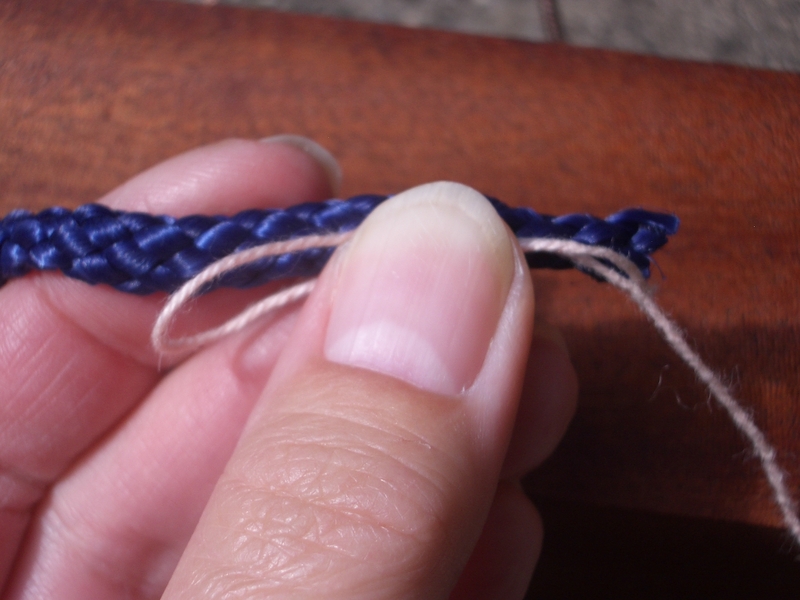 When you are satisfied that the two loops of cord meet somewhere well away from either end of the whipped zone, pull on both ends of the cord hard and evenly to tighten everything up. 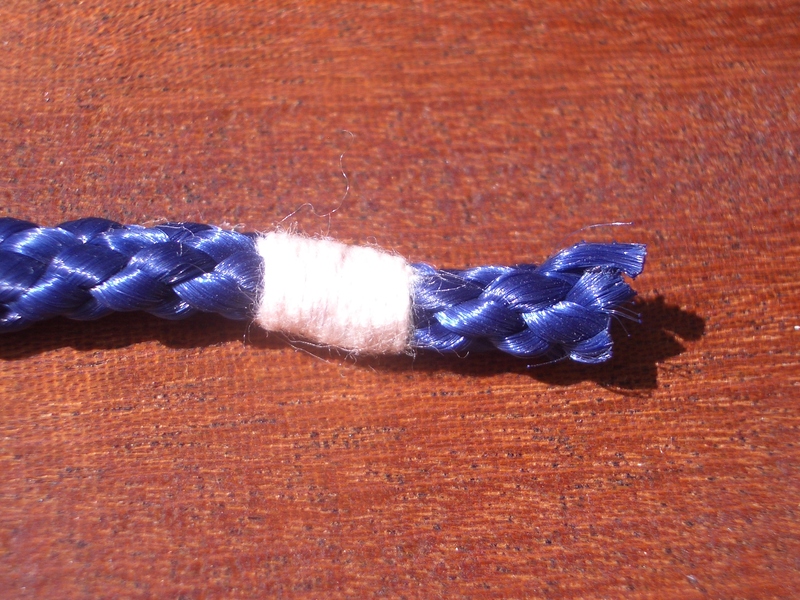 Then you can cut off the excess cord at each end, as close to the whipping as possible. 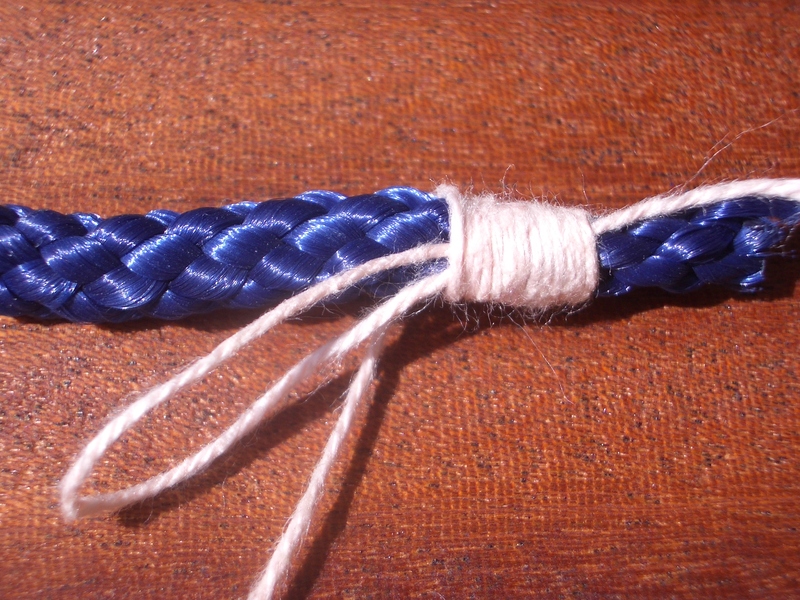 Trim the end of the rope shorter if you like, but not too close to the start of the whipping.